In April, the FDA released proposed rules for listing calories on menu labels (see previous post). One surprising omission was an exemption for alcoholic beverages. The surprise was that FDA had included alcoholic beverages in earlier versions. The FDA’s reason for omitting alcohol is that these drinks are regulated by the Treasury Department, which proposed rules for calories on the labels of such drinks. Yes it did, but that was at least four years ago and Treasury has done nothing since. And Treasury has never said a word about menu boards. Jurisdiction cannot be the real reason. FDA does not regulate meat and poultry (USDA does) but its proposed regulations cover those foods. If you think the FDA should require restaurants to display calories for alcoholic beverages, now is the time to say so. 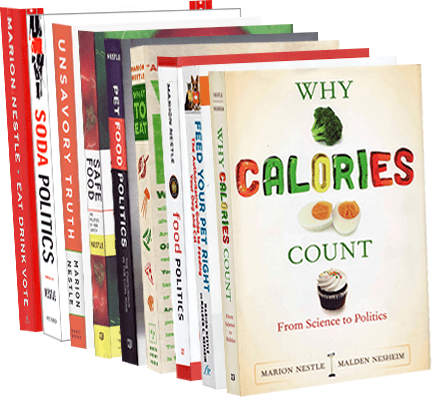 I think consumers’ right to know is a sufficient reason for demanding calorie labeling on alcoholic beverages, but if you want more, the Marin Institute lists useful talking points. Alcoholic beverages contain calories and few nutrients. It is difficult for drinkers to calculate the number of calories contained in a specific alcoholic beverage on their own. Congress did not explicitly exclude alcoholic beverages from food labeling requirements. The FDA has jurisdiction over the regulation of alcoholic beverages for health purposes. The TTB [Treasury Department agency] continually fails to act regarding the labeling of alcoholic beverages. Exempting small alcohol producers can remove burden of obtaining nutritional information. If you are convinced by these arguments, or have others of your own, be sure to share them with FDA. Do it right away. The deadline is July 5.